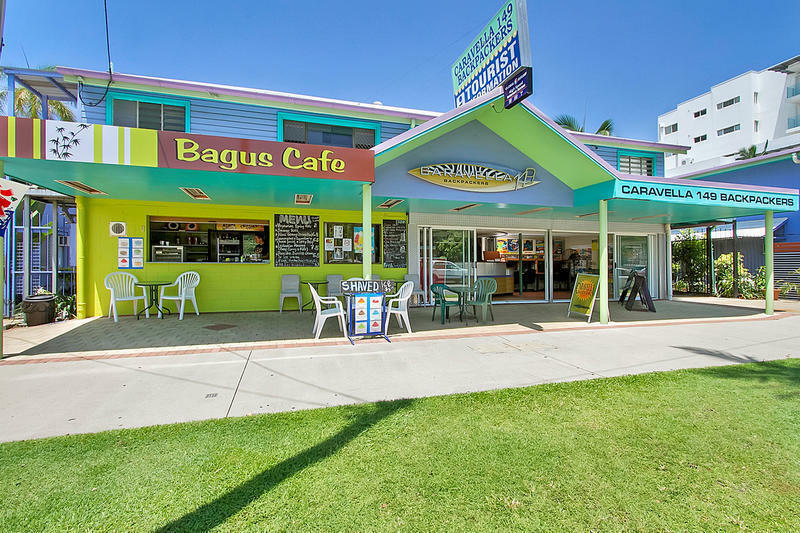 Caravella Backpackers Cairns City Waterfront is located right on the Esplanade, near boats going out to the Great Barrier Reef and just 10 minutes' walk from the lagoon and Reef Teach. This hostel has a swimming pool and large kitchen as well as air-conditioned, clean rooms and a 'chilled out, not-overly-party vibe', according to our visitors. Several Hostelworld guests have praised the very friendly staff for their great knowledge of local tours. We like that they also have luggage storage for after check-out. Weâ€™ve got free air conditioning, even on discounted rooms; plus thereâ€™s free storage for your luggage. 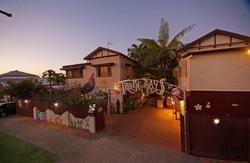 Itâ€™s no wonder we were rated the seventh-best hostel in Australia in 2010/11 by Hostelworld customers! Thereâ€™s evening meal deal every night at the Woolshed Bar and Grill. Experience a friendly, laid-back atmosphere in and around our large pool and outdoor tabled area where you can meet many new friends. Our swimming pool area has many sun loungers and is a great place for getting that wonderful bronzed tan. Our rooms are very clean, spacious, and comfortable. The 11pm curfew in our social areas allows you to get your restful sleep before your excursions the next day. 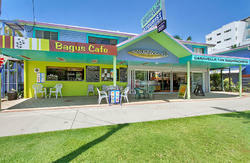 The hostel is located a short walk from the heart of the city, overlooking the Cairns waterfront. Our staff are well trained in giving you the best advice to suit all your needs whilst in Cairns and travelling around Australia.